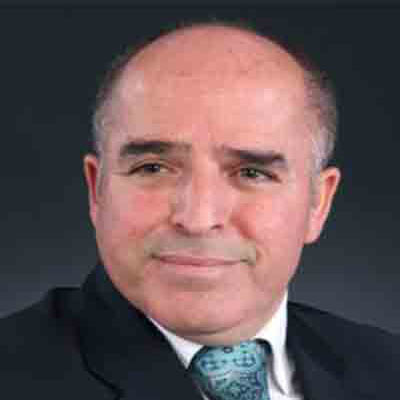 Dr. Omur Baysal holds a position of Professor at Faculty of Science, Department of Molecular Biology, and Genetics MuglaSitkiKocman University, Mugla, Turkey. He has completed his Ph.D. in Plant Pathology and Microbiology from University of Gottingen Gottingen, Germany. His main area of research interest focuses on Microbiology, Host-Pathogen interactions, and Molecular Cell Biology, Bioinformatics Applications in Molecular Biology and Genetic, and Omics Sciences. He is member of European Food Security Association, an HLB Disease Sentinental Network Committee. He is member of editorial board and reviewer for several journals. He has published 30 research articles in journals contribute as author/co-author. Polat, I., E. Gumrukcu, G. Sulu, A. Kitapcı and O. Baysal, 2015. First report of grey mould caused by Botryotinia fuckelina on golden berry. Plant Dis., Vol. 100 10.1094/PDIS-08-15-0908-PDN. Guruler, H., M. Peker and O. Baysal, 2015. Soft computing model on genetic diversity and pathotype differentiation of pathogens: A novel approach. Electron. J. Biotechnol., 18: 347-354. Agdamar, S., A.S. Tarkan, E. Keskin, N. Top, E. Dogac, O. Baysal and O. Emiroglu, 2015. The role of environmental factors and genetic diversity on colonization success of a non-native fish, Lepomis gibbosus from western part of Turkey. Biochem. Syst. Ecol., 58: 195-203. Polat, I., O. Baysal, F. Mercati, M. Kitner, Y. Cohen, A. Lebeda and F. Carimi, 2014. Characterization of pseudoperonospora cubensis isolates from Europe and Asia using ISSR and SRAP molecular markers. Eur. J. Plant Pathol., 139: 641-653. Icoz, S.M., I. Polat, G. Sulu, M. Yilmaz and A. Unlu, et al., 2014. First Report of Bacterial Blight of Pomegranate Caused by Xanthomonas axonopodis pv. punicae in Turkey. Plant Dis., 98: 1427-1427. Bozkurt, I.A., S. Soylu, M. Mirik, C. Ulubas Serce and O. Baysal, 2014. Characterization of bacterial knot disease caused by Pseudomonas savastanoi pv. savastanoi on pomegranate (Punica granatum L.) trees: A new host of the pathogen. Lett. Applied Microbiol., 59: 520-527. Baysal, O. and M. Toer, 2014. Smart biologics for crop protection in agricultural systems. Turk. J. Agric. For., 38: 723-731. Baysal,O., D. Lai, H.H. Xu, M. Siragusa and M. Calıskan et al., 2013. A proteomic approach provides new insights into the control of soil-borne plant pathogens by Bacillus species. PloS one, 8: e53182-e53182. Baysal, O., C. Karaaslan, M. Siragusa, R. Alessandro, F. Carimi, F. De Pasquale and J.A.T. da Silva, 2013. Molecular markers reflect differentiation of Fusarium oxysporum forma speciales on tomato and forma on eggplant. Biochem. Syst. Ecol., 47: 139-147. Baysal, O., 2013. Assessing intra-specific variation in Bacillus subtilis strains using DNA fingerprinting. Fre. Environ. Bull., 22: 3567-3571. Devran, Z. and O. Baysal, 2012. Genetic characterization of Meloidogyne incognita isolates from Turkey using sequence-related amplified polymorphism (SRAP). Biologia, 67: 535-539. Erdogan, O., H. Ikten and O. Baysal, 2011. Molecular diversity within pseudomonas fluorescens strains reflects their antagonistic effect differentiations to verticillium dahliae on cotton. Rom. Biotechnol. Lett., 16: 6413-6416. Baysal, O., F. Mercati, H. Ikten, R. Cetinkaya, Y. Aysan, F. Carimi and J.A. Teixeira, 2011. Clvibaacter michiganensis subsp. michiganesis: Tracking strains using their genetic differentiations by ISSR markers in Southern Turkey. Physio. Mole. Plant Pathol., 75: 113-119. Baysal, O., D. Lai, H.H. Xu, Q.L. Huang and F. Yigit, 2011. Control of late blight disease on tomato by cyclic lipopeptides of Bacillus subtilis strain (EU07). Curr. Opin. Biotechnol., 22: S36-S37. Baysal, O., M. Siragusa, E. Gumrukcu, S. Zengin, F. Carimi, M. Sajeva and J.A. Teixeria, 2010. Molecular characterization of Fusarium oxysporum f. melongenae virulence by ISSR and RAPD Markers on Eggplant. Biochem. Genet., 48: 524-537. Baysal, O., M. Siragusa, H. İkten, I. Polat and E. Gumrukcu et al., 2009. Fusarium oxysporum f.sp. lycopersici races and their genetic discrimination by molecular markers in West Mediterranean region of Turkey. Physiol. Mol. Plant Pathol., 74: 68-75. Baysal, O., M. Caliskan and G. Yesilova, 2008. An inhibitory effect of a new Bacillus subtilis strain (EU07). Physiol. Mol. Plant Pathol., 73: 25-32. Baysal, O., Y.Z. Gursoy, H. Ornek, B. Cetinel and J.A.T. da Silva, 2007. Enhanced systemic resistance to bacterial speck disease caused by Pseudomonas syringae pv. tomato by dl-β-aminobutyric acid under salt stress. Physiol. Plantarum, 129: 493-506. Baysal, O. and J.A. Teixeria, 2006. Induced resistance: A new approach in plant protection for floriculture and ornamental plants. Floricul. Ornamen. Plant Biotech. Adv. Topical., 4: 231-237. Soylu, E.M., H. Yigitbas, F.M. Tok, S. Soylu, S. Kurt, O. Baysal and A.D. Kaya, 2005. Chemical composition and antifungal activity of the essential oil of Artemisia annua L. against foliar and soil-borne fungal pathogens. J. Plant Dis. Prot., 112: 229-239. Baysal, O., Y.Z. Gursoy., A. Duru and H. Ornek, 2005. Induction of oxidants in tomato leaves treated with DL-β-Amino butyric acid (BABA) and infected with Clavibacter michiganensis ssp. michiganensis. Eur. J. Plant Patho., 112: 361-369. Baysal, O., Y.Z. Gursoy, H. Ornek and A. Duru, 2005. Enhancing tomato resistance to bacterial canker by turtle oil. Jpn. Phytopathol. Soc. Gen. Plant Pathol., 61: 193-198. Baysal, O., Y.Z. Gursoy, A. Duru and H. Grnek, 2005. Enhanced tomato resistance to bacterial canker by turtle oil. J. Gen. Plant Pathol., 71: 204-210. Baysal, O., C. Turgut and G. Mao, 2005. Acibenzolar-S-methyl induce resistance in pepper leaves against Phytophthora capsici (Leonian). Biologia Plantarum, 4: 599-604. Baysal, O., 2004. Recombinant DNA and gene cloning technology in agricultural plant protection. J. Turk. Crop Sci., 1: 1-10. Baysal, O. and W. Zeller, 2004. Extract of Hedera helix induces resistance on apple rootstock M26 similar Acibenzolar-S-methyl against Fire Blight (Erwinia amylovora). Physiol. Mol. Plant Pathol., 6: 305-315. Soylu, S., O. Baysal and E.M. Soylu, 2003. Induction of disease resistance by the plant activator, acibenzolar-S-methyl (ASM), against bacterial canker (Clavibacter michiganensis ssp. michiganensis) in tomato seedlings. Plant Sci., 165: 1069-1075. Soylu, M., S. Soylu and O. Baysal, 2003. Induction of disease resistance and antioxidant enzymes by acibenzolar-S-methyl against bacterial wilt disease (Clavibacter michiganensis ssp. michiganensis) in tomato. J. Plant Pathol., 85: 1-7. Baysal, O., S. Soylu and E.M. Soylu, 2003. Induction of defence-related enzymes and resistance by the plant activator acibenzolar-S-methyl in tomato seedlings against bacterial canker caused by Clavibacter michiganensis ssp. michiganensis. Plant Pathol., 52: 747-753. Baysal, O., P. Laux and W. Zeller, 2002. Further studies on induced resistance (IR) effect of the plant extract from Hedera helix against fire blight (Erwinia Amylovora). Phytopathology, 92: 115-117.